Front Row: Dave Ortmeier, Duane Muller, Leroy Timmerman, Chairman Jerald Bode. Second Row: Sec Treasurer Loree Dahl, Rich Svoboda, Vice Chairman Jim Pieper, Eugene Brester, Ed Neesen. 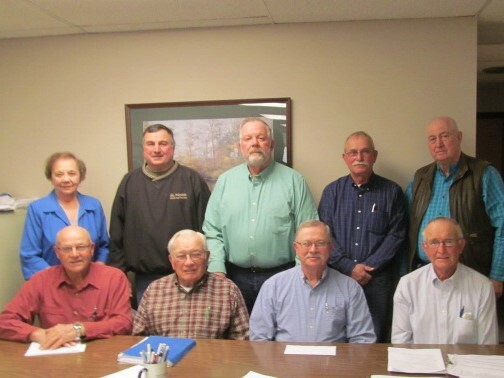 Members of the Board of Directors are selected from policyholders and represent various areas of northeast Nebraska. Nine Directors serve three year terms and are eligible for re-election. The officers of German Mutual are chosen from this group. Directors meet quarterly and attend state conventions and meetings of organizations of which German Mutual is a member.